Shaman King: Soul Fight is a fighting and strategy game for the Nintendo GameCube developed by Tuning Electronic, and published by Bandai. It is based upon the anime and manga Shaman King, written by Hiroyuki Takei. 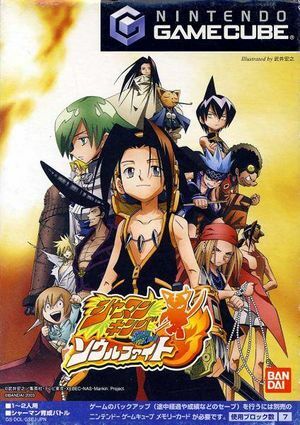 It follows the journey of Yoh Asakura and his friends in the quest to become Shaman King. There are 26 characters and 5 game modes to choose from: Story Mode, Shaman Fight Mode, Tutorial Mode, Shaman King Mode, and Omake Mode. Soul Fight is one of the only console games developed by Tuning Electronic, a company that has developed a small amount of low-budget arcade games. The graph below charts the compatibility with Shaman King: Soul Fight since Dolphin's 2.0 release, listing revisions only where a compatibility change occurred. This page was last edited on 11 August 2017, at 05:12.